The Mini Cooper was born in 1961, a collaboration between legendary road car designer Sir Alec Issognis and legendary race car designer John Cooper. 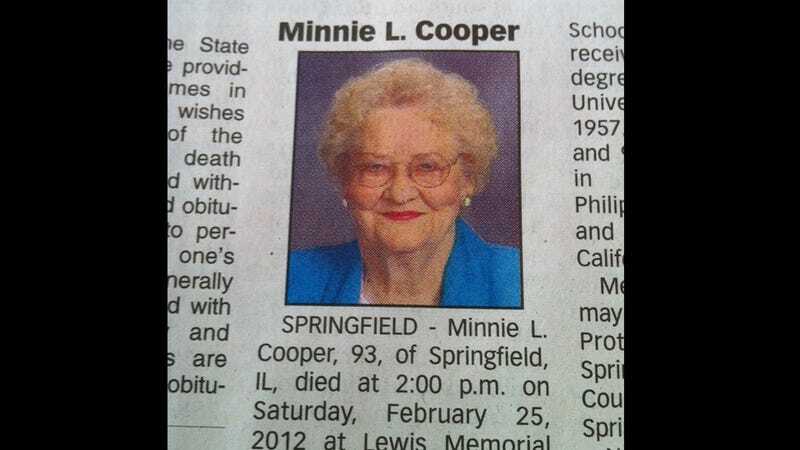 Minnie Cooper was born on January 19, 1919. She passed away last Saturday, 42 years older than the peppy cars that happen to share her name. Minnie is survived by a son, two grandchildren, five great-grand children, and several nephews and cousins. May she rest in peace.